High in Iron - which Plays a Key Role in Energy Utilization. 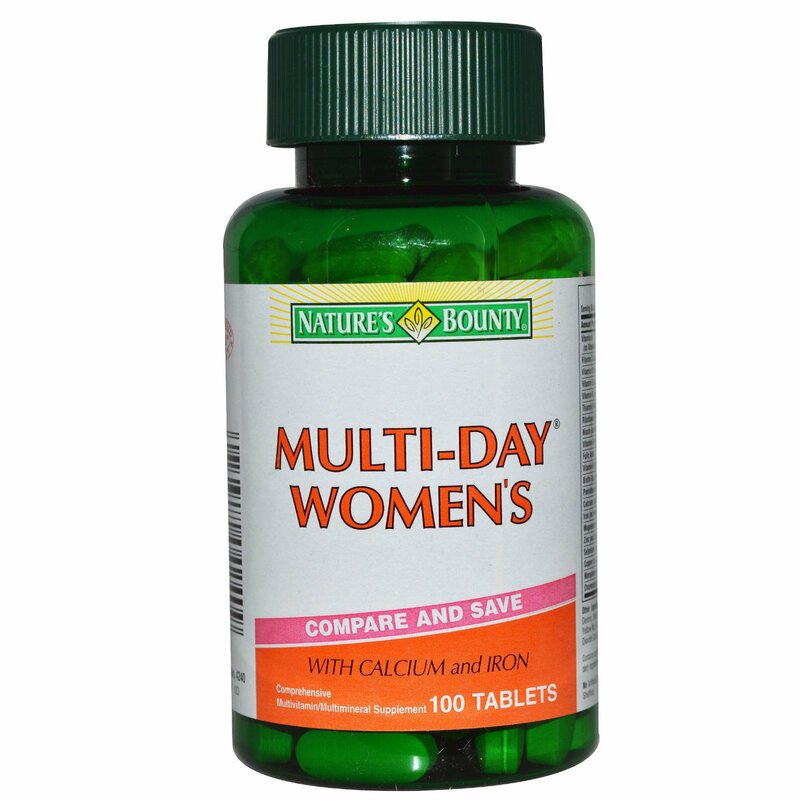 For adult women, take one (1) tablet daily, preferably with a meal. Vegetable cellulose. 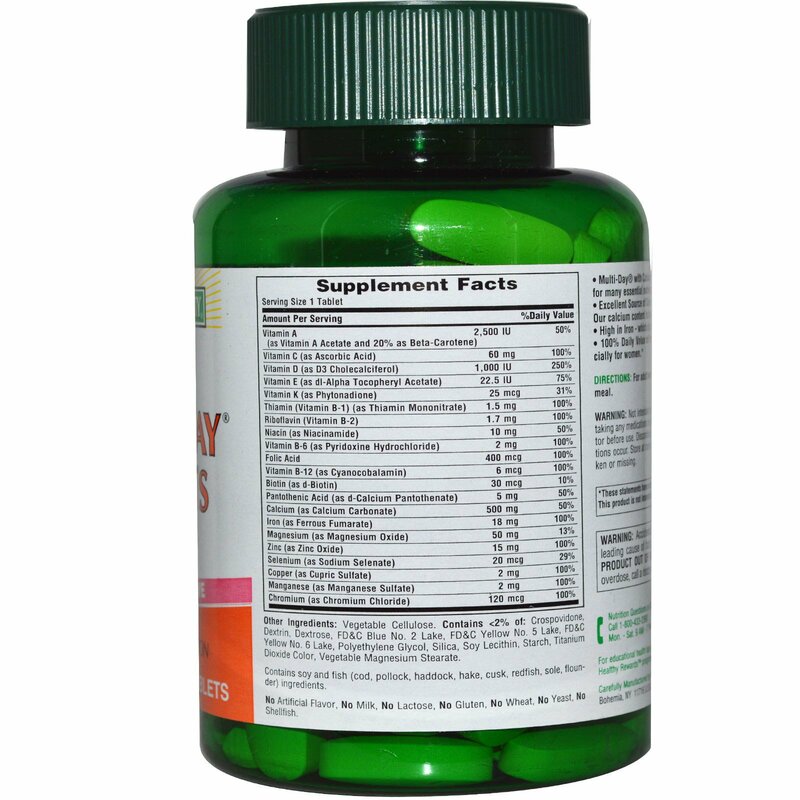 Contains <2% of: Crospovidone, dextrin, dextrose, FD&C blue no. 2 lake, FD&C yellow no. 5 lake, FD&C yellow no. 6 lake, polyethylene glycol, silica, soy lecithin, starch, titanium dioxide color, vegetable magnesium stearate. 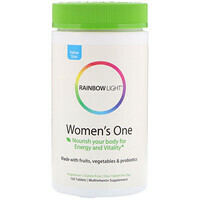 Contains soy and fish (cod, pollock, haddock, hake, cusk, redfish, sole, flounder) ingredients. No artificial flavor, no milk, no lactose, no gluten, no wheat, no yeast, no shellfish. Not intended for use by pregnant or nursing women. If you are taking any medications or planning any medical procedure, consult your doctor before use. Discontinue use and consult your doctor if any adverse reactions occur. Store at room temperature. Do not use if seal under cap is broken or missing.